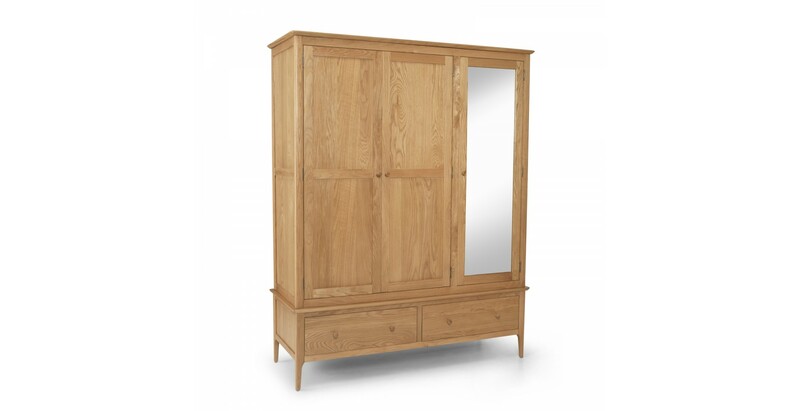 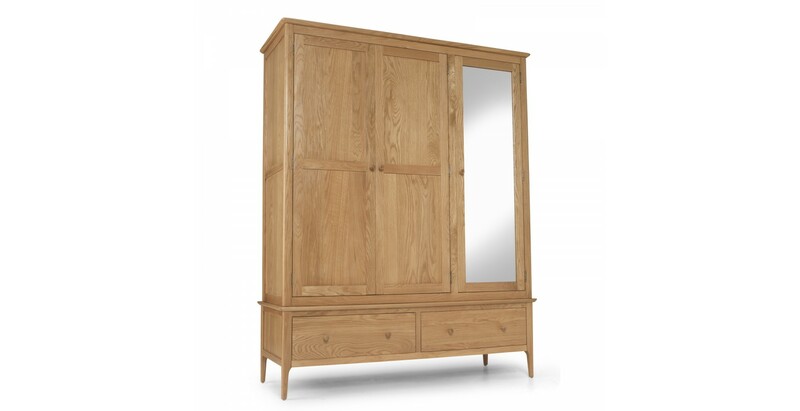 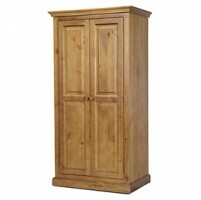 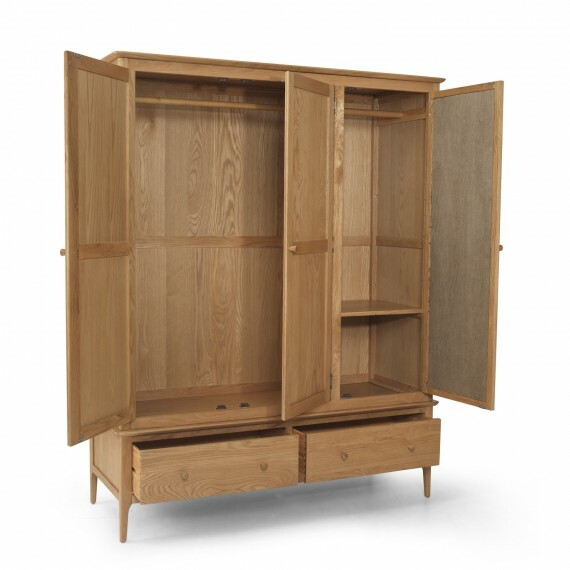 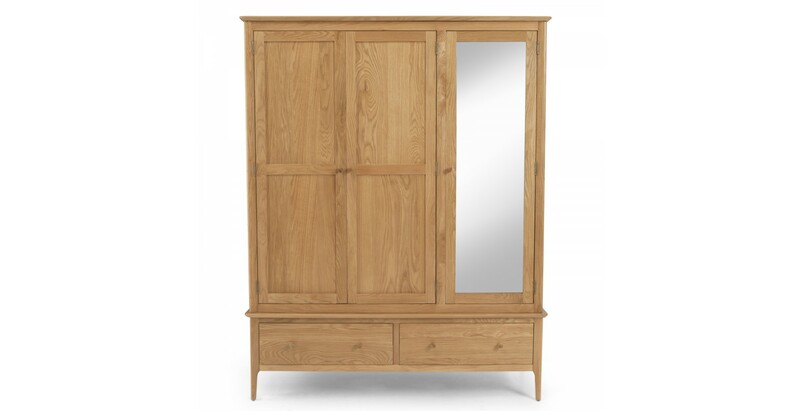 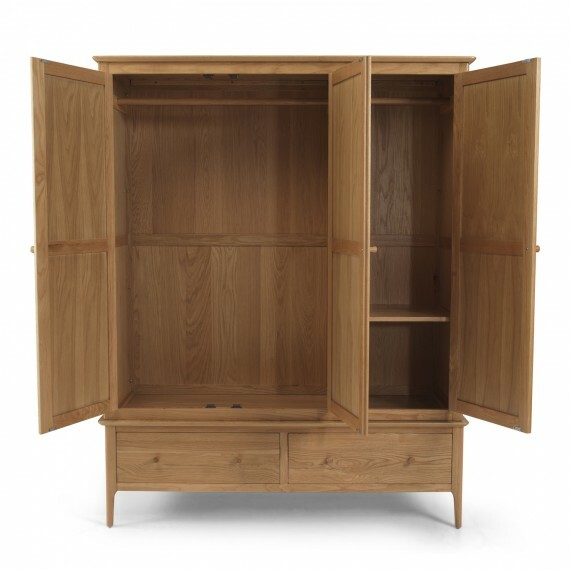 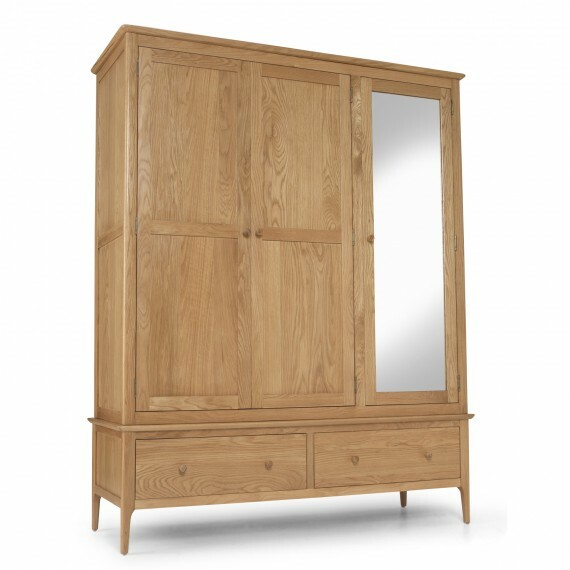 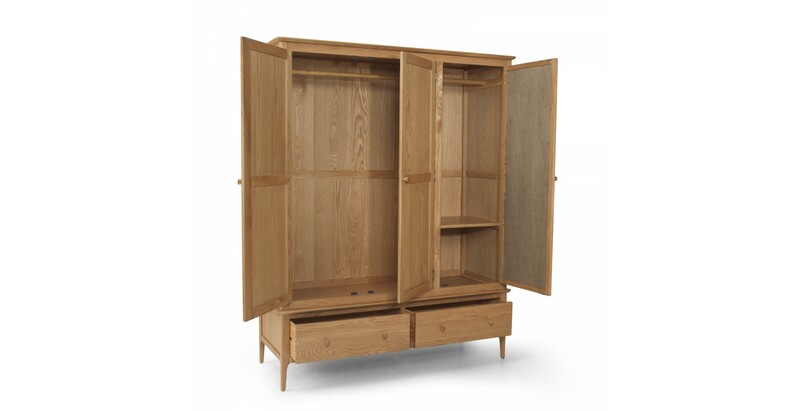 Expertly crafted from solid oak and oak veneers in a simple design inspired by Shaker furniture, the generous proportions of this triple wardrobe will ensure your bedroom stays neatly organised and clutter-free. 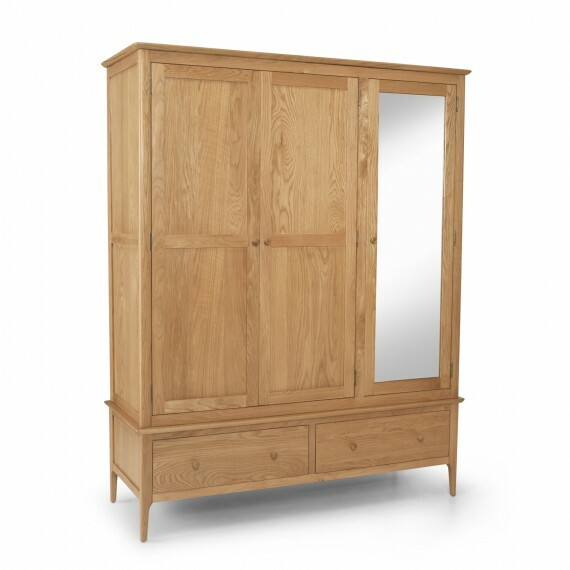 Plentiful hanging space and a handy shelf can be found behind the doors, and a full length mirror on the single door means you can check your appearance from head to toe. 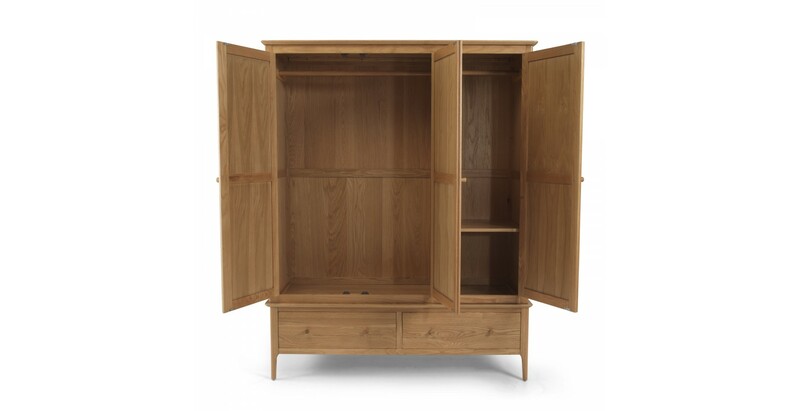 Drawers at the bottom will take care of your jumpers and jeans, and the hand-applied wax finish ensures the timber always looks its best too. 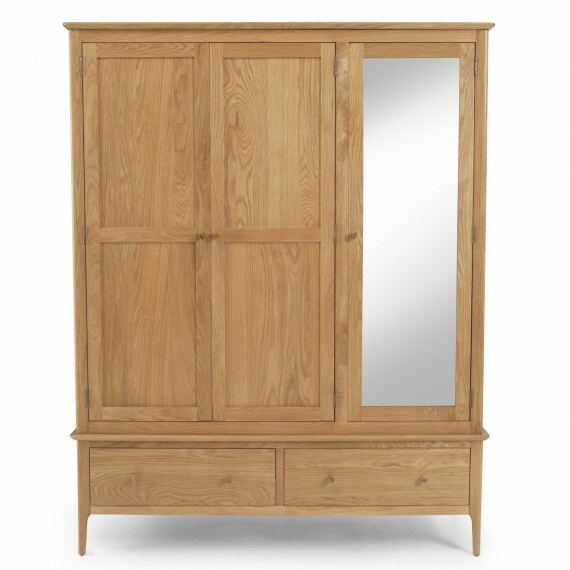 Rounded edges and tapered legs add timeless charm, and it comes with both wooden and metal handles so you can dress it up according to your taste or décor.